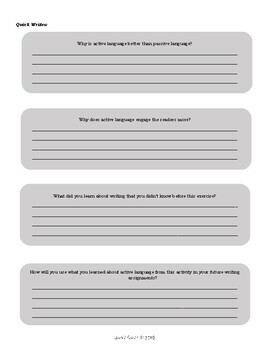 Want your students to be more attentive to the active language used by the authors of their independent reading books? Then this product would be an awesome resource for you to download! 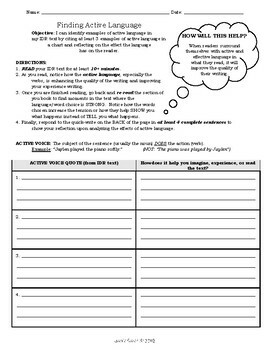 Formatted as a graphic organizer with quick write responses on the back, this document will require your middle school students to not only pay attention to active language in the text, but guide them to think meta-cognitively about how active language supports their experience of reading and understanding the text!